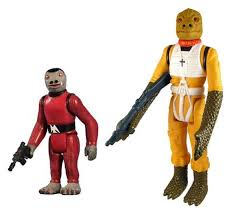 Where and when will we be getting the bounty hunter reworks and Bossk? I was hoping they’d release the reworks before the end of this DS TB, but apparently no such luck. Crippling raid rewards is very time consuming I guess. WIll be here when he's here. There is a slight break in events from April 24th-27th. Perhaps in that time frame? This month! I'm really eager for it can't wait! Perhaps this should be Sssssssssoooon? It is Bossssssssssk, after all. Oh I see what you did there Mischen...and I liked it! Good guess. Would be nice if people that are guessing would label it as such, though, since people then repeat it as fact later. If anyone on here tells you they know, for a fact, when anything is happening then they're lying. Of course, but a lot people here don't understand this. Not sure I get the Bosssk excitement it’s going to be a marque event! After Sion debacle and all this crap I’m not spending another penny on this game. Spent well over 2k already. Not only did I have Bosssssssk, but it was the early bird mail in preview version. Retail Bossk was painted a slightly darker hue of vomit brown. I almost had blue Snaggletooth Sears set, but my sister got a crummy Cabbage Patch Kid and I had to put the Sears Cantina Playset back on the self. After Sion debacle and all this **** I’m not spending another penny on this game. This is true even for the developers. Devs: "we don't announce things early because deadlines often slip and we don't want to disappoint everyone"
Forum: "just tell us stuff earlier"
Devs: "ok, but keep in mind there will be a longer gap between the announcement and the content"
Forum: "AHHHHHHHH! WHERE IN GODS NAME IS BOSSK!?" In anticipation of the upcoming movie, Solo: A Star Wars Story, we are revisiting the Bounty Hunter faction this month inside the game. They said BOSSK and BH rework this month. But...you said that like a fact. Is this the event where they purposely stop the character short at 25/30 shards so we can buy the first 9.99 pack to get the 3rd star. And if you are really feeling lucky, you can keep purchasing 5-330 shard packs?